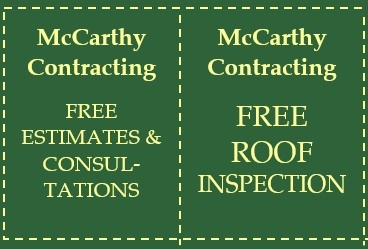 "your job is our reputation"
McCarthy Contracting is a full service General Contracting firm that has been servicing Monmouth and Ocean counties for over 25 years. Whether you are remodeling a room, renovating your home or building a brand new home, our focus is to work with our clients to ensure we fully understand their wants, needs and finances. This information collectively will enable us to make suggestions based on prior projects and experience. We have worked hand in hand for many years with the same fully licensed and insured subcontractors, masons, plumbers, electricians, etc. to make sure that every aspect of your project is handled expediently and professionally. We have built our reputation as one of New Jersey’s leading contracting firms based on customer recommendations, professionalism and running our business believing “Your job is our reputation”. Flooring kitchens bathrooms and entryway, walls including drywall crown molding nail pops and much more. We’ll only work with the best materials available and provide a 1 year guarantee on all labor. We never compromise quality for time and give our clients realistic schedules that accommodate their lives. We strive for honest customer service, so contracts are only paid in full when the finished work is to your complete satisfaction. Your Dream Can Start on a Napkin!